Welcome to Skiworx. 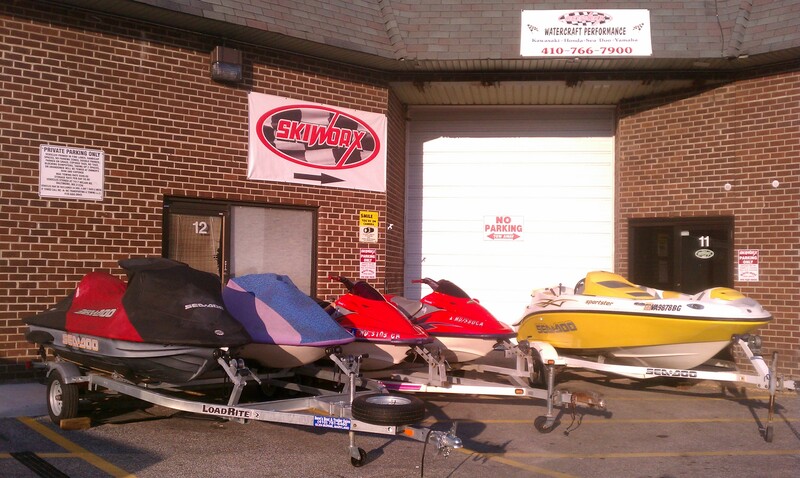 Where we specialize in the Personal Watercraft World! We work on every PWC made from 1988's to 2017's, 2 Stroke, 4 Stroke it doesn’t matter. We are your one stop shop, we can handle all your needs from simple service to full rebuilds. We carry many parts and Accessories in stock. We also work on all Sea-Doo and Yamaha Jet Boats..
Skiworx Stage 2 Ultra 150 80 MPH Video. We have a rideplate that will solve your Ultra 150 Handling Issues! Skiworx Triple Pisser kit Payments can now be made online as can Jet Dynamic Rideplates. Jet Dynamic Ultra 150 Rideplates in stock ready to ship. $210.00 Shipped Domestic. Kawasaki Supercharged STX-15F's. We will be posting these build so follow along!